Castle Rock Writers started in 1999, when Elizabeth Wallace walked into the Philip S. Miller Library in Castle Rock, telling the director that she wanted to start a group for writers. This new group met monthly, hosting national and regional writers as speakers. Before long, the group was filling the meeting hall with people interested in writing. 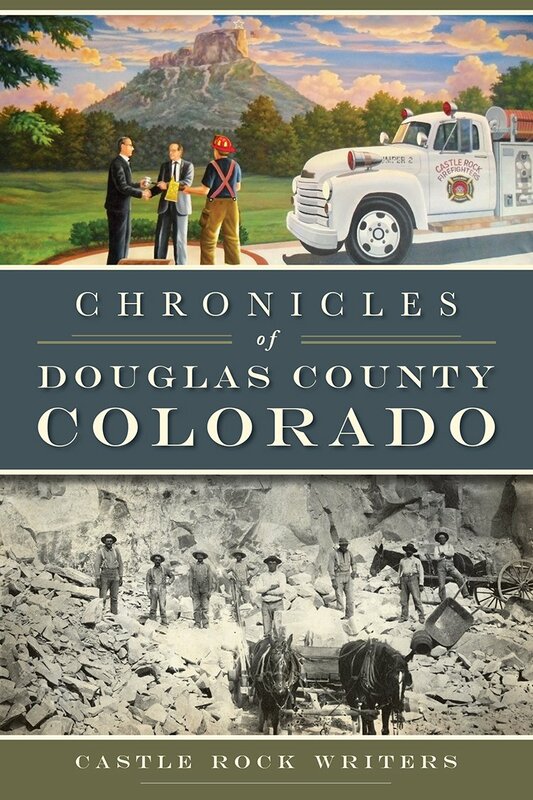 By 2004, eight of the writers were working on a book on the history of Douglas County, with CRW founder Wallace at the helm as project manager. The eight writers were Laura Adema, Alice Aldridge-Dennis, Derald Hoffman, Sue Koller, Kathy McCoy, Marjorie Meyerle, Susie Trumble, and Elizabeth Wallace. The writers volunteered their time with the understanding that Douglas County Libraries Foundation would use profits to sponsor writing activities and a writers’ conference. In 2005, the Douglas County Libraries Foundation published the book, Douglas County, Colorado: A Photographic Journey. Using the proceeds, the DCL Foundation and the writers’ group partnered to sponsor annual writers’ conferences, 2007 to 2010. The first two years the Castle Rock Writers Conference was held at the Philip S. Miller Library. The next two years, the conference, hailing under the name “Douglas County Writers Conference,” was held at Castle View High School. In 2011, the Foundation restructured its way of supporting writers and released the conference to the Castle Rock Writers. This group and other volunteers continued their support of area writers, formally organizing as Castle Rock Writers, a Colorado non-profit corporation. CRW has sponsored successful writers’ conferences each fall, 2012 to the present. The founding board of Castle Rock Writers included the following: Jean Jacobsen, president; Alice Aldridge-Dennis, vice-president; Tania Urenda, secretary; Susan Rocco-McKeel, development officer; Mark A. Cohen, vice-treasurer; and John Longman, treasurer. The board members, conference photographer Derald Hoffman, and freelance writer Kimberlee Gard teamed up to write a second book entitled The Chronicles of Douglas County, Colorado, published by The History Press in 2014. This chapter book covered prehistoric times to the present. Coming full circle, Elizabeth Wallace and Alice Aldridge-Dennis later led a team in writing a revised version of the first book. Arcadia Publishing published this new book, Images of America: Douglas County in 2017. Other team members were Peggy A. Cummings, Jim Hansmann, Debbie Buboltz, and Laura Adema; other original writers also contributed. Castle Rock Writers continues the legacy of the original writers’ group, providing opportunities and support for writers. Castle Rock Writers interfaces with other writers’ organizations, libraries, historical societies, and local businesses throughout the county and along the Front Range.